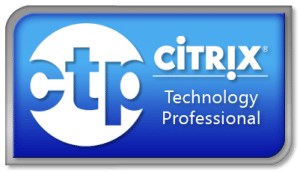 Today, Citrix raised the bar again, announcing a new addition to its popular Citrix XenDesktop that promises to juice performance even further for employees accessing their virtual desktops, apps and data over a wide area network (WAN). 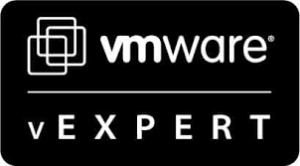 Starting today, any customer who buys the Platinum Edition of XenDesktop gets a powerful new WAN optimization virtual appliance at no additional charge that can be deployed quickly and easily in any branch office to boost XenDesktop performance for branch users. The new solution, powered by the breakthrough Citrix Branch Repeater VPX virtual appliance, is specifically architected for accelerating and optimizing the delivery of virtual desktops, apps and data for end users, while reducing bandwidth utilization for IT administrators. Citrix XenDesktop, combined with the HDX WAN Optimization technology from Branch Repeater – accelerates the delivery of virtual desktops and provides a high definition experience to branch office workers (See 3rd Party Performance Report: XenDesktop vs View with and without WAN Optimization). They have led the transformation of desktop virtualization and WAN optimization markets with innovative and integrated use of these technologies. XenDesktop Platinum will include the new HDX WAN optimization feature, powered by Branch Repeater VPX – at no additional charge. You can deploy the new HDX WAN Optimization virtual appliances in unlimited number of branch offices with WAN links up to 45Mbps, if you buy XenDesktop Platinum, are current on XenDesktop Platinum SA or trade up to XenDesktop Platinum. This will allow XenDesktop Platinum customers to accelerate and optimize, on WAN links of up to 45Mbps bandwidth, delivery of virtual desktops and virtual apps, as well as native apps such as Microsoft Exchange, Outlook, SharePoint, and other data or application traffic. The new HDX WAN Optimization feature runs as a virtual appliance on either Citrix XenServer of VMware vSphere. 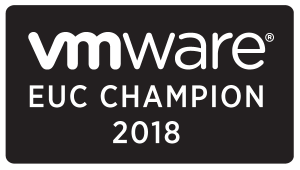 In related news, the standalone Citrix Branch Repeater VPX virtual appliance is also now available for both XenServer and VMware hypervisors. Unlimited number of VPX appliances in any number of branch offices to accelerate any and all traffic beyond XenDesktop Platinum traffic… if you buy XenDesktop Platinum, are current on XenDesktop Platinum SA or trade up to XenDesktop Platinum in those branch offices. Enjoy the ride of the virtual desktop with the power of Citrix. Go Virtual, go Anywhere, go fast. fasten your seatbelt this ride is going to be thrilling.